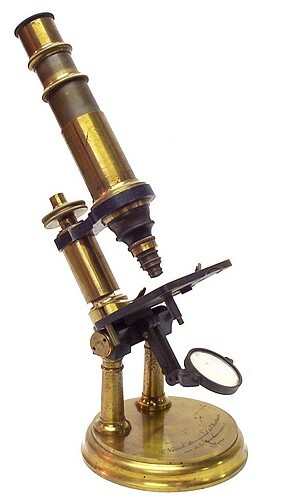 Constant Verick advertised himself as a "èlève spécial du Hartnack" (special pupil of E. Hartnack) both in the signatures he used for some of his instruments and in his catalogs. 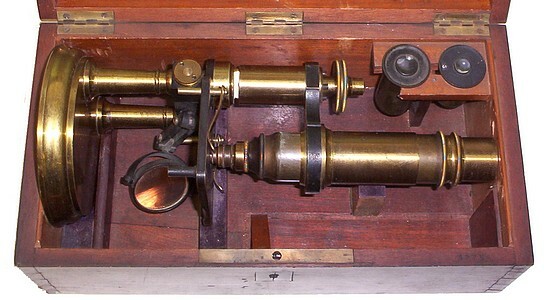 By the mid 1870's he established his own firm where a number of different microscope models were produced, among which is the double pillar model presented herein. 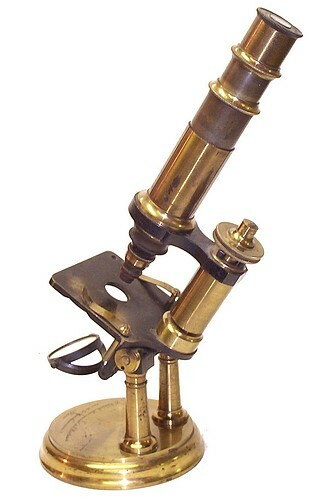 In 1882, the firm was succeeded by his son-in-law Maurice Stiassnie. 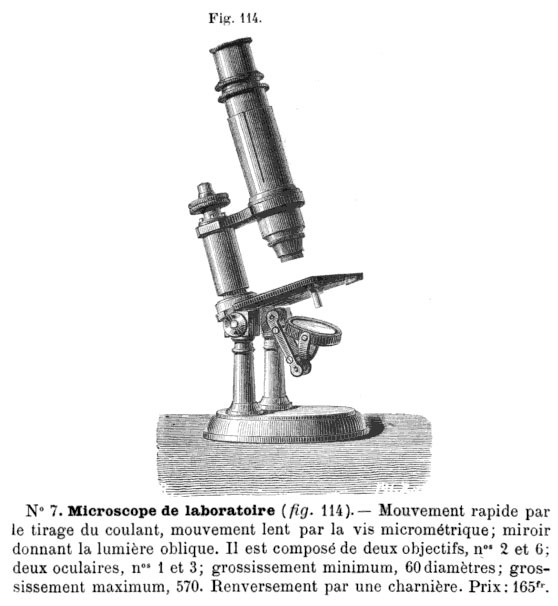 While this microscope was referred to as the Model No.7 in the above publication, it was called the Model No.6 in the 1885 Verick catalog as shown below. Evidently, the model designation changed between years.